Almost all children were engaged as they looked at the various images in the booklet. Most children could talk about different shapes and sizes of drinking vessels pictured. Children listened well as we talked about the various artists. 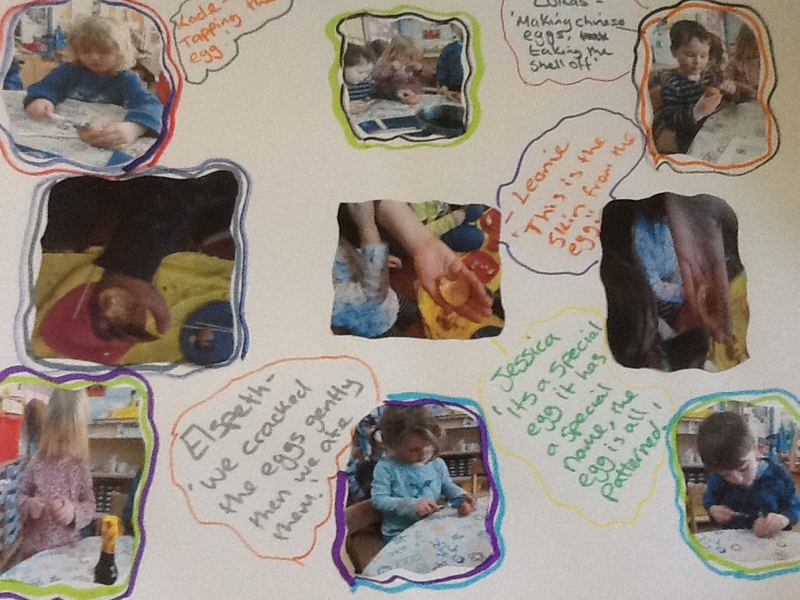 Some children talked about visiting museums and art galleries with their parents. All children contributed to the discussion. 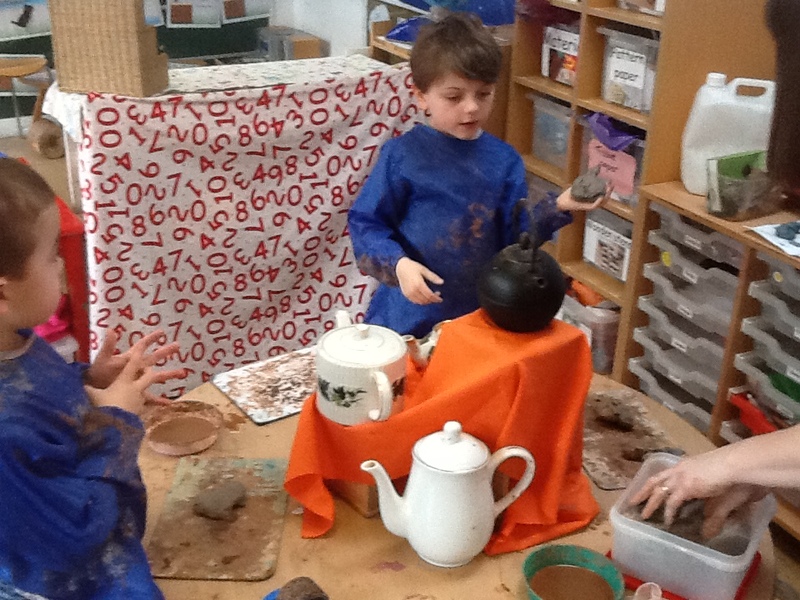 Many of the 4-5 year olds were able to ask questions and give their ideas about what they would like to do next with the teapots, eg. Have a tea party, have a tea shop, make tea, visit a shop. Some of the older children wanted to find out where tea came from. Almost all younger children listened well and gave relevant contributions to the discussions. A few children did not say very much but engaged well with the resources, filling up teapots with tea bags, smelling various teas and investigating tea cosy, tea strainer, etc. Older children beginningto estimate which pot would hold most/least and also beginning to estimate the number of cups they might fill. Most older children could explain their reasoning. 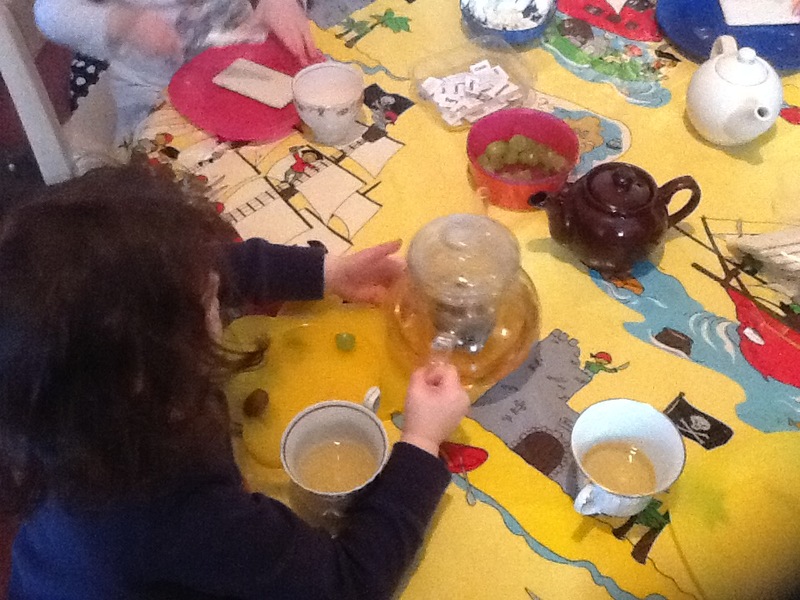 e.g ‘more cups because it’s a bigger teapot.’ Some younger children starting to give a random number as their estimate. Most younger children could identify small, medium, large. 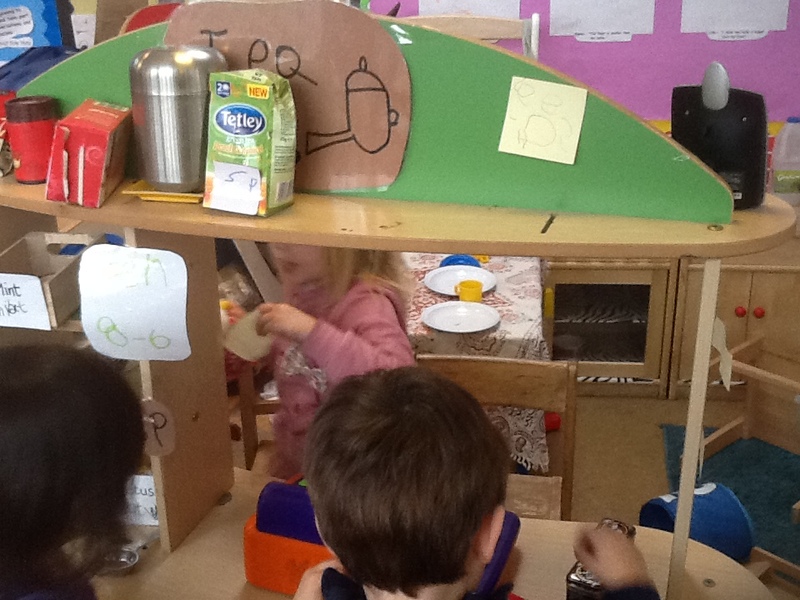 All children helped to make tea. Some of the older children could identify ‘rosemary.’ Children were reintroduced to names of different herbs. All children helped pick herbs and washed them in the kitchen. Older children were able to explain why the herbs needed to be washed. Some younger children could also briefly explain why they should be washed. All children listened to hygiene and safety instructions. Most of the older children could talk about why they shouldn’t touch kettle, boiling water. Only some younger children could talk about safety. 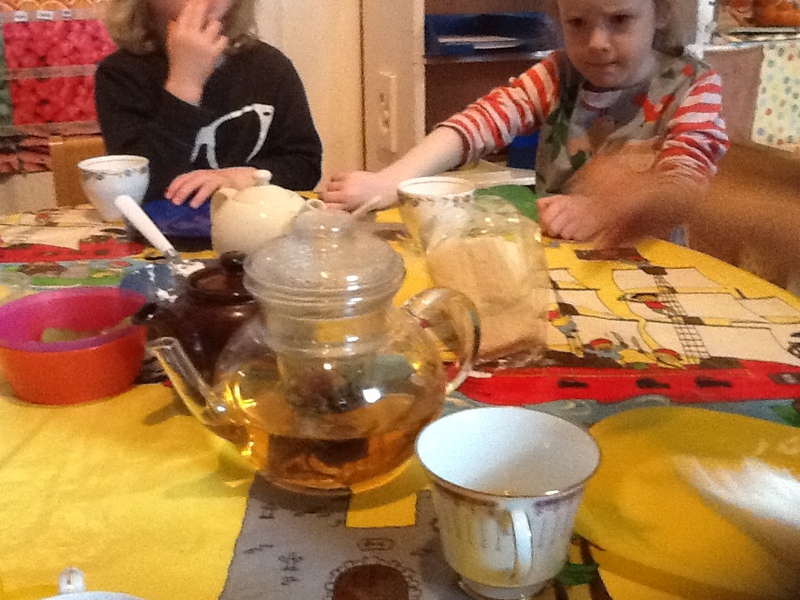 Children sampled tea at snack time. Children marked on the board whether they liked/disliked the tea and we counted results afterwards. Almost all children were comfortable pouring out their own tea. Only a few asked for help but managed by themselves with encouragement. 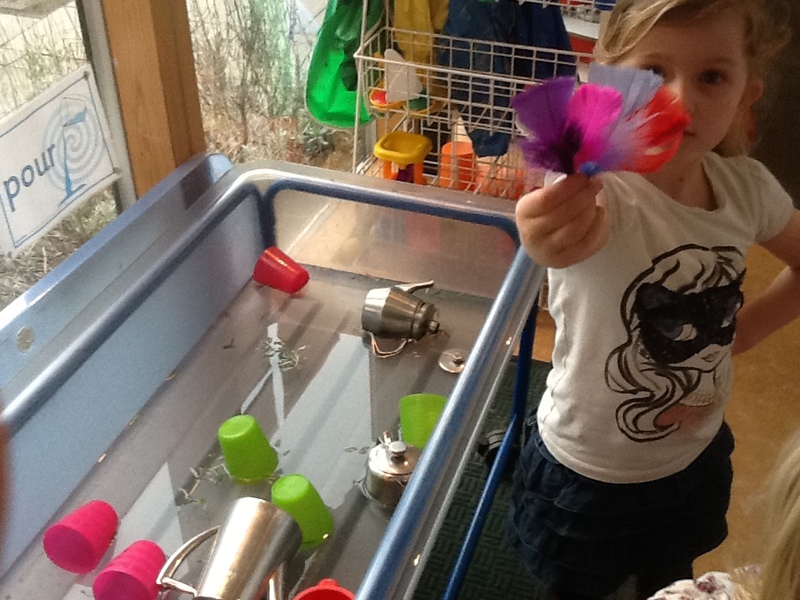 All children used the teacups, teapots and other props very well. Almost all children had good control when pouring water from teapot. They listened well to instructions about how to hold teapot, how much water to pour and when to stop pouring. Some younger children needed a little support. Add teapots to the water tray. Teapots at snack time. The children did not engage with the printed teapot song in the house corner. Change song to make it more interactive, eg washing line to put song words/actions in the right order. Only some children knew the song before. Children practised the song most days and quickly learnt the words and actions. A few quieter children, 3 with EAL and 2 with speech and language delay took part in the actions and made recognisable attempts to sing along with some of the words. 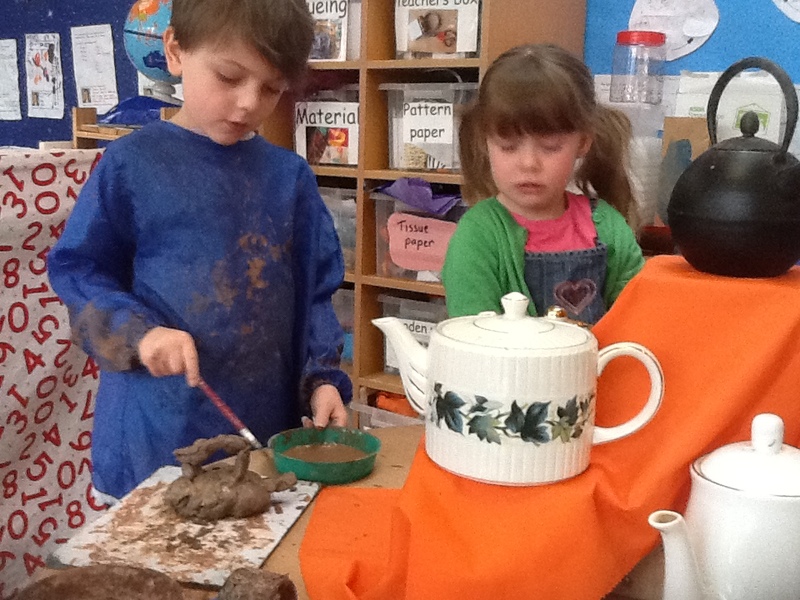 Almost all children used the tea set in the house corner and practised pouring, holding the top of the teapot steady and estimating when to stop. A few older children asked where tea came from and were interested in finding this out using the computer. A small group of children discussed what they would need to buy from Chinese shop. 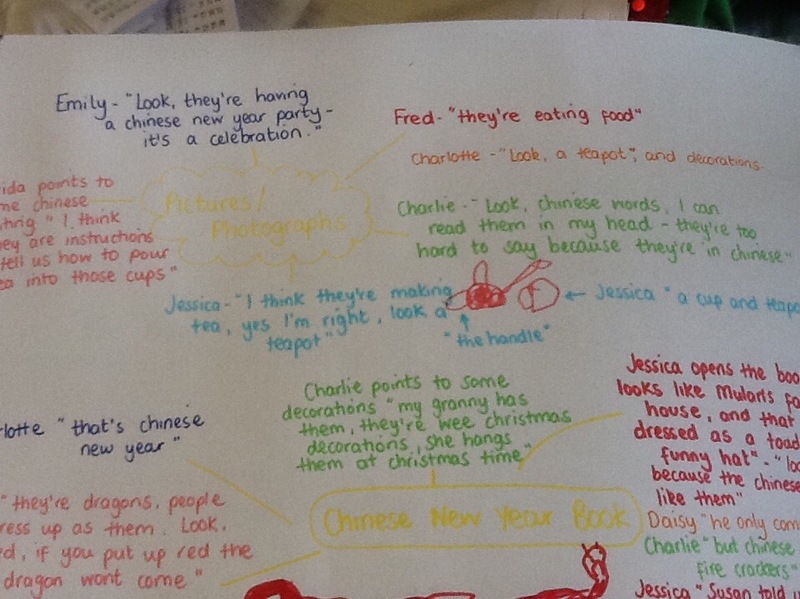 They looked at different Chinese recipes and copied out ingredients onto a shopping list. 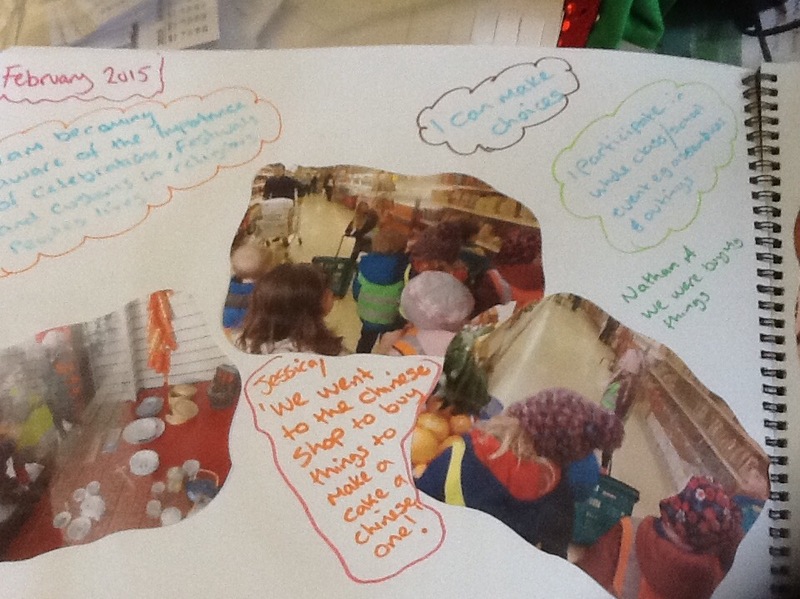 Children looked for items in the shop with staff and the shop keeper. The children handed over money to the shop keeper. Children were able to greet the shop keeper in Mandarin. 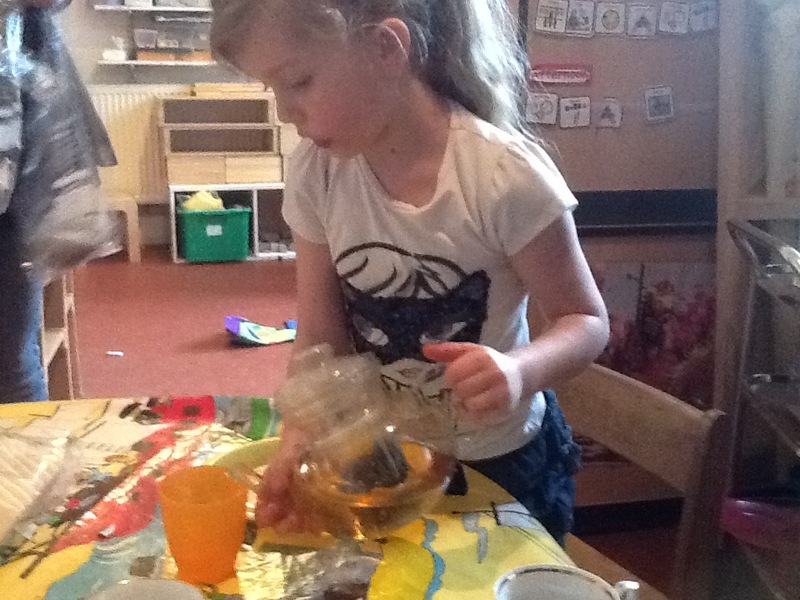 Children bought some different teas, discussed them and looked at them at nursery. 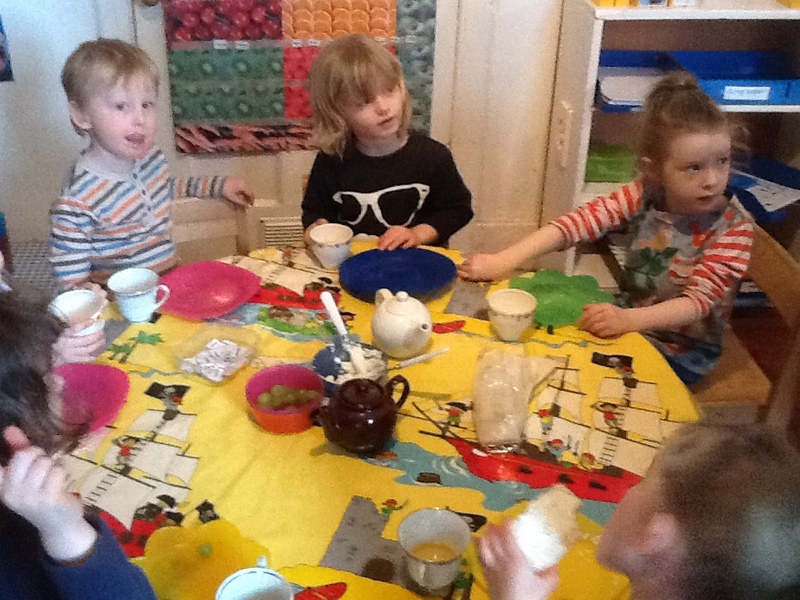 Children decided during a discussion who to invite to the tea party. Older children copied out words for invitations for their parents. 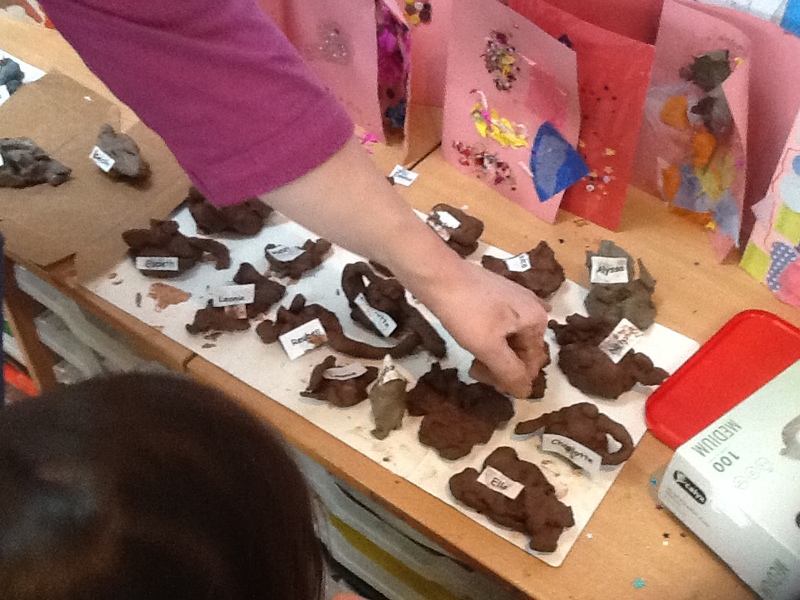 Younger children were able to make marks to represent their ideas. 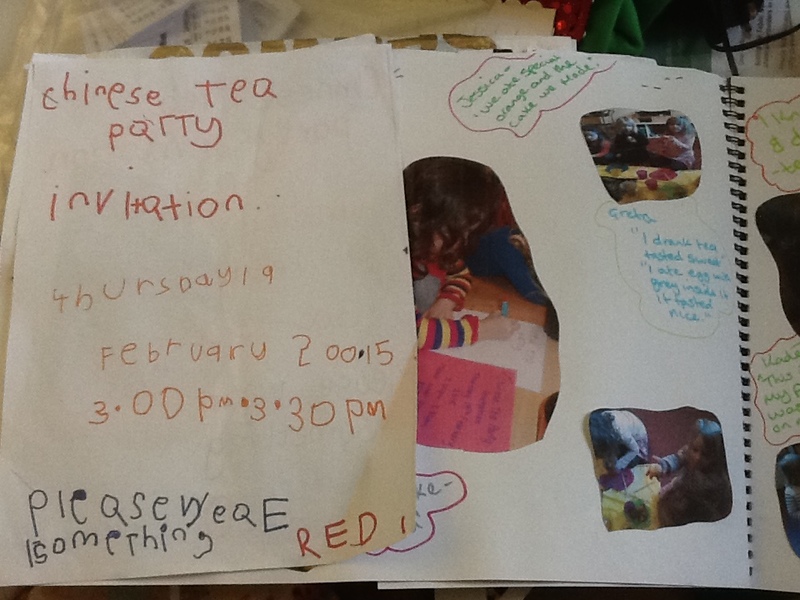 Older children copied out the recipe and made own recipe book. Children baked Chinese cake and Chinese tea eggs. All children were introduced to various equipment to measure ingredients. Almost all could name scales, measuring jug and spoons and describe what they are used for. A few younger thought the scales were clocks. Children were also introduced to various equipment to measure length and completed homework sheets to evaluate their learning. Children tried the different foods on offer. 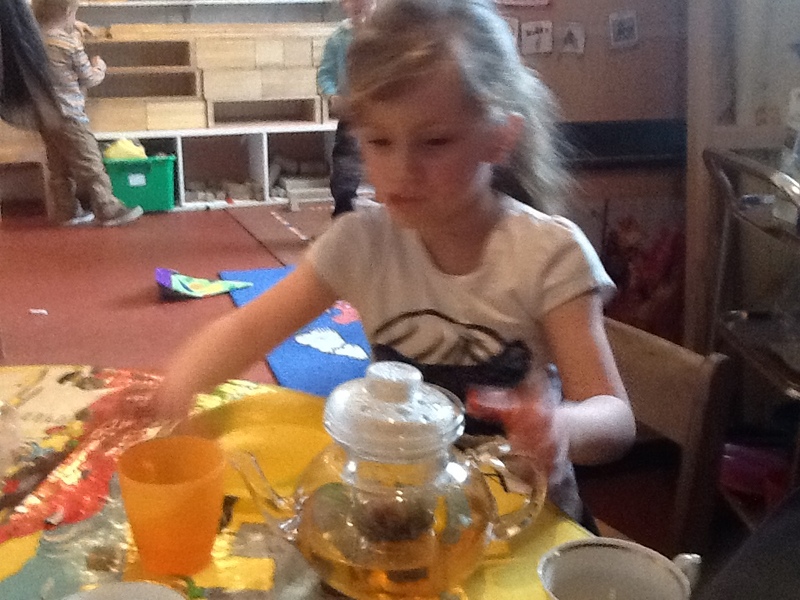 All children were able to pour their own tea from the teapot. Children took part in a Mandarin lesson. 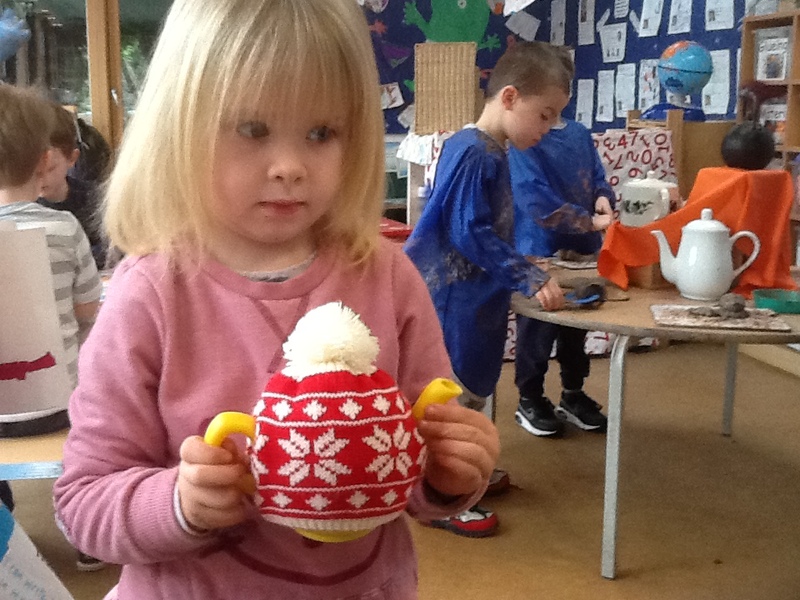 The older children were able to remember some phrases from previous lessons and were introduced to words tea, teacup, teapot and Happy New Year. All children listened well to a traditional Chinese story about the origin of tea. One parent did some Chinese writing with the children, Some children were able to copy the symbols very well and showed lots of patience and determination. Younger children enjoyed making marks with the paint. 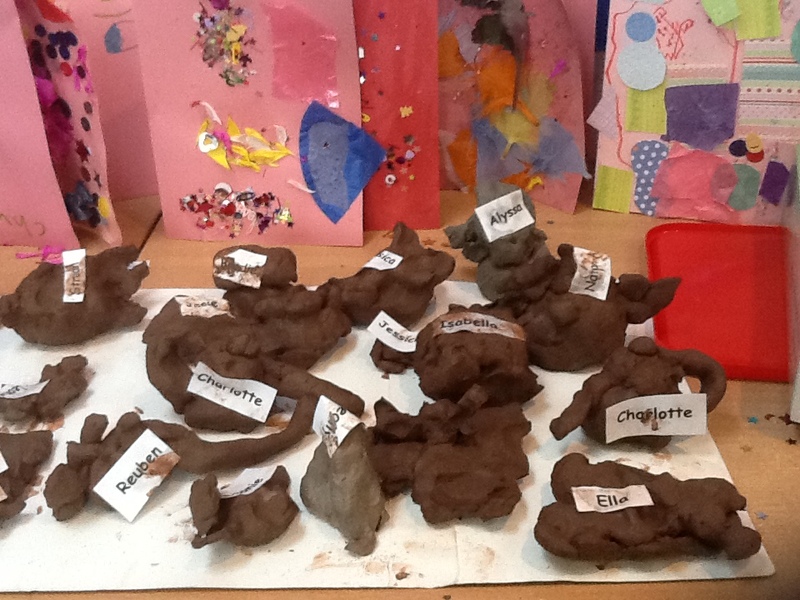 Parents told staff they had a lovely afternoon with children and staff. Continue with small group discussions and talking tubs. Encourage and support quieter children/ EAL/speech delay. Continue to provide interesting and inspiring resources for discussions and interaction. Involve children in planning for their own expereiences and interests. Continue to encourgae children to apply their learning.